Tom attended and graduated from John Marshall High School in Milwaukee. In 1976, Tom graduated from the University of Minnesota, earning a Bachelor degree with a major in Mortuary Science and became a licensed funeral director. In 1977, Tom married Debbie who was a longtime employee at Marquette University. They have 3 grown children -- Christine (Dr. Shane) Degen of Green Bay, Michael (Kristina) of Apple Valley, MN, and Matthew of Brookfield. Tom became a grandparent in December of 2014 when daughter Christine had granddaughter, Josephine. Michael's wife, Kristina, gave birth to twin girls, Dylan Ann and Caroline Jo in April of 2015. Tom enjoys all sports and spending time with his ever growing family. Mark became a licensed Wisconsin Funeral Director in 1984, following his fall graduation from Worsham College of Mortuary Science. Mark served as president of his graduating class. 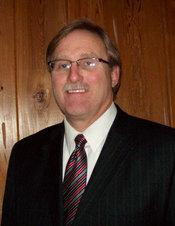 Before that, Mark earned a Bachelor of Science Degree from the University of North Dakota, Grand Forks in 1983. Earlier, in 1980, he was awarded an Associate Arts Degree from Ellsworth Community College, Iowa Falls, Iowa. Mark has long been active in WFDA. For the past year he has served as WFDA President. Mark has been married nearly 24 years to his wife Margaret (Peggy) and they have four children. Among his interests, Mark lists spending time with his family; doing volunteer work with the Lions Club, ethnic and civic groups, church and school organizations; and watching sporting events.